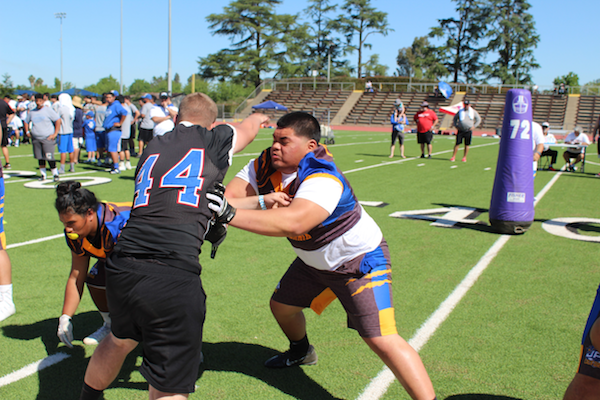 Jr. Prep Sports (JPS) California Lineman Combines. Our mission is to teach and develop young men and women through their association with adult leaders in various sport activities. JPS is a “Student First” Program that uses the various sport activities as a tool to emphasize the importance of education. Rules and regulations are established to ensure that players play in an atmosphere of safety with the welfare of the player at the forefront. Scholastic requirements for participants are enforced and ensured that each participant understands that schoolwork comes first! 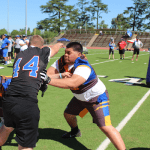 We produce combine and showcase events under the names: Paradise Classic (HI), Player Development Clinics / Linemen Camps and Ultimate Lineman Challenge.